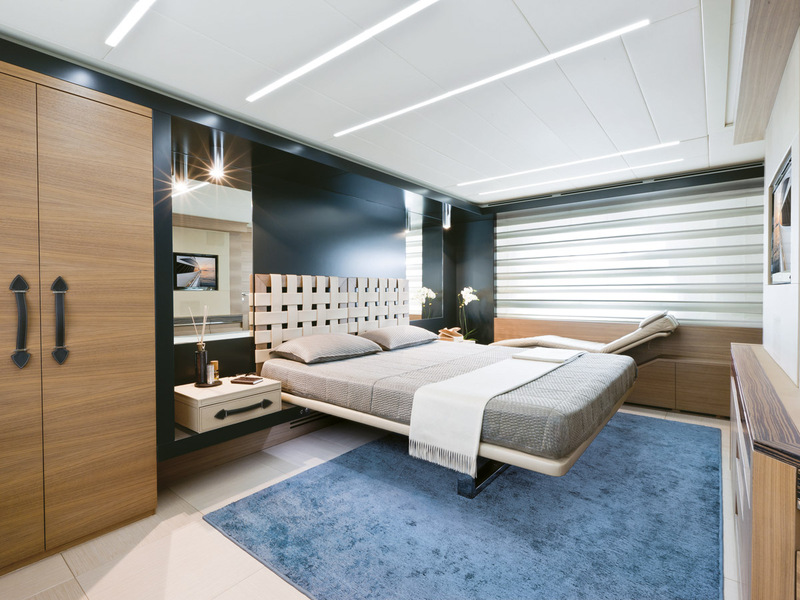 Suitcase-like furnishing mixed with precious weaved leather bed head soften the severity of the design. 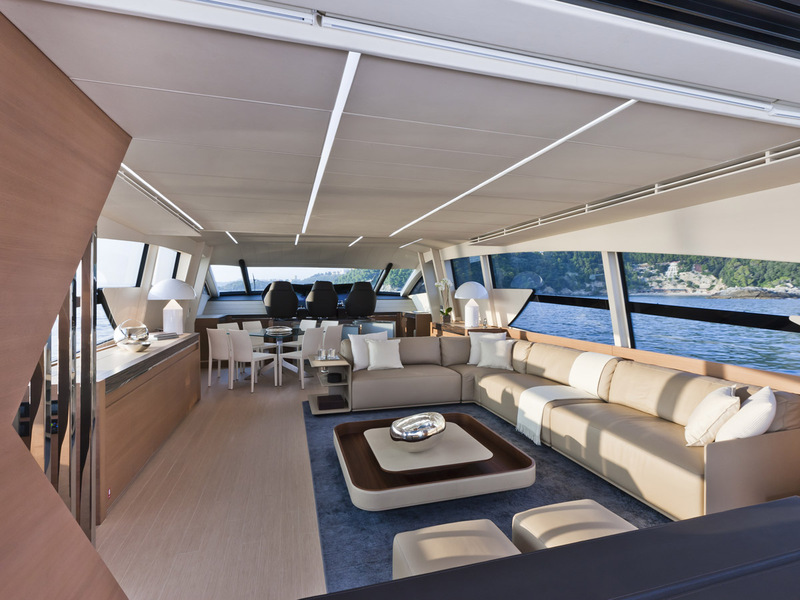 The expert choice of materials stood out from the dark lacquered wood textures to the light color leather upholstery and metal inserts. 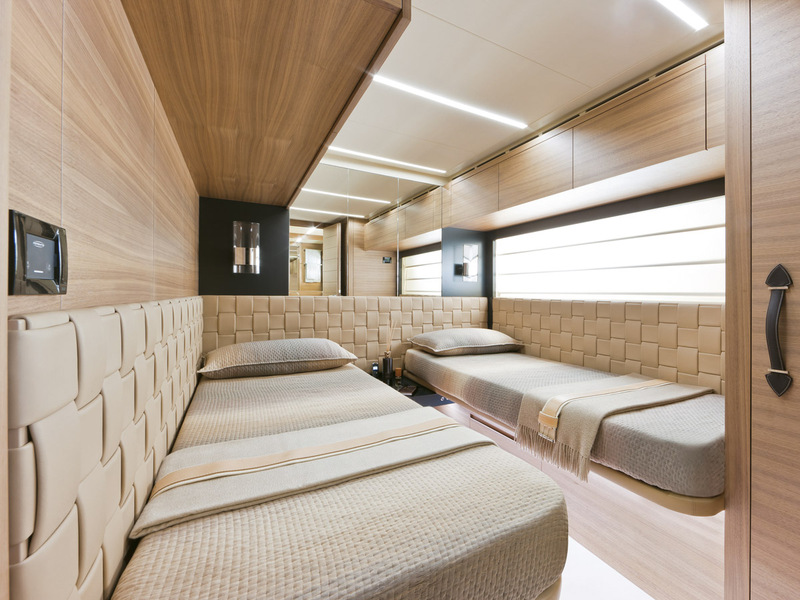 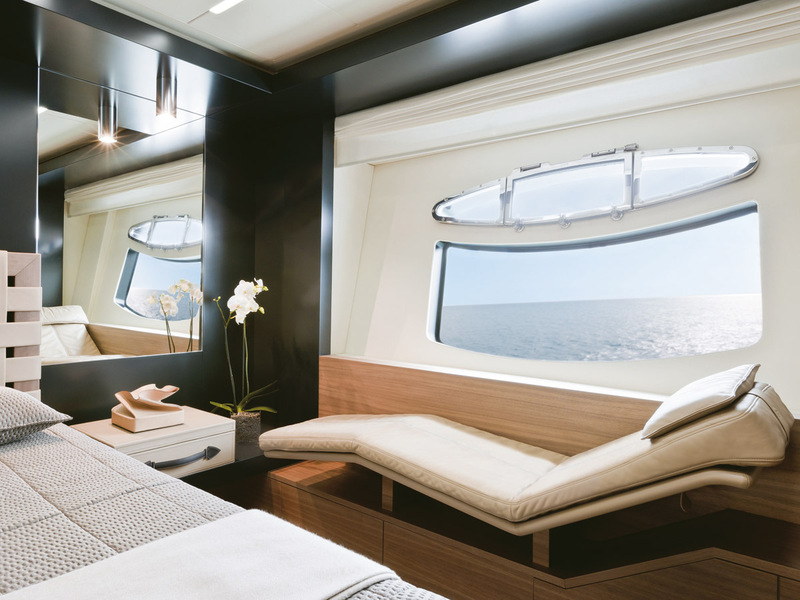 The circular bow cabin and the diagonally placed bed interpretate space in a unique way. 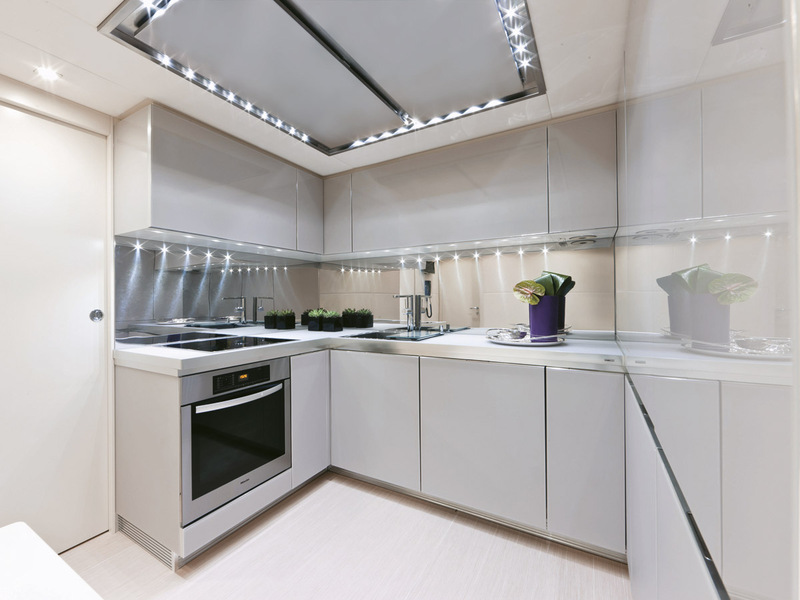 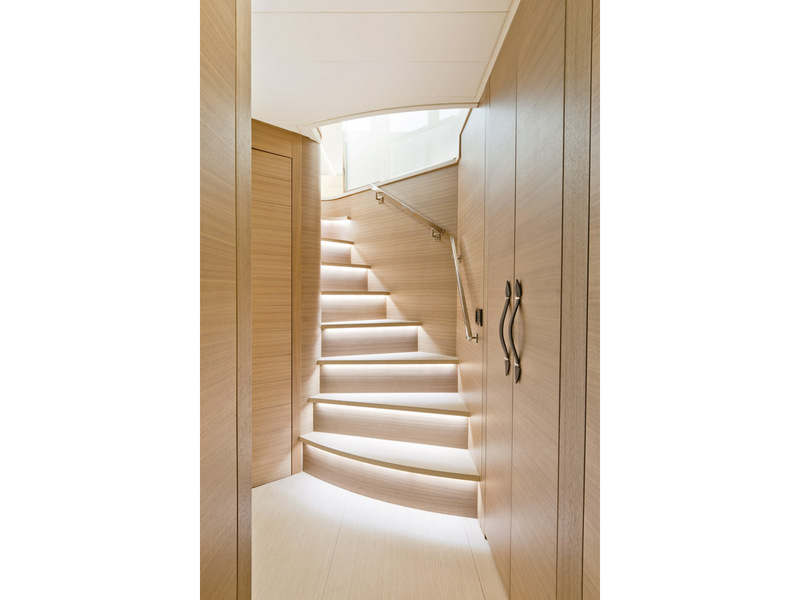 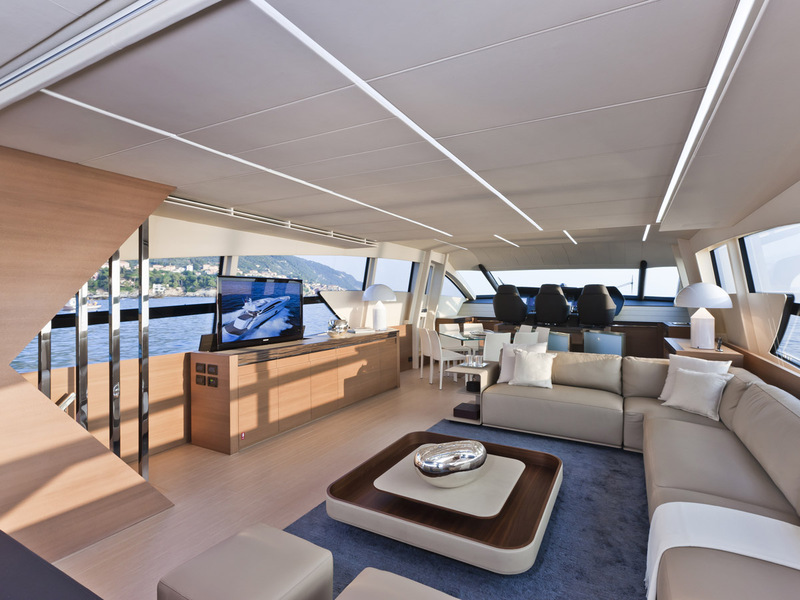 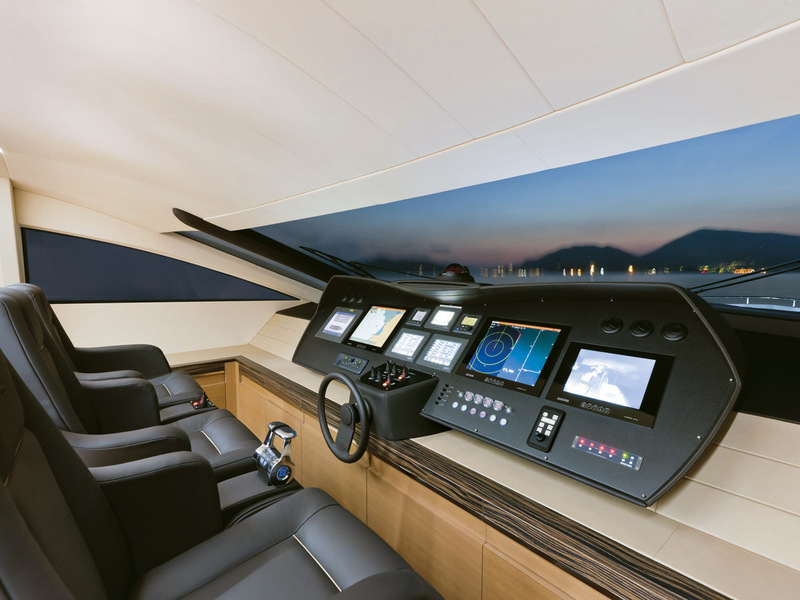 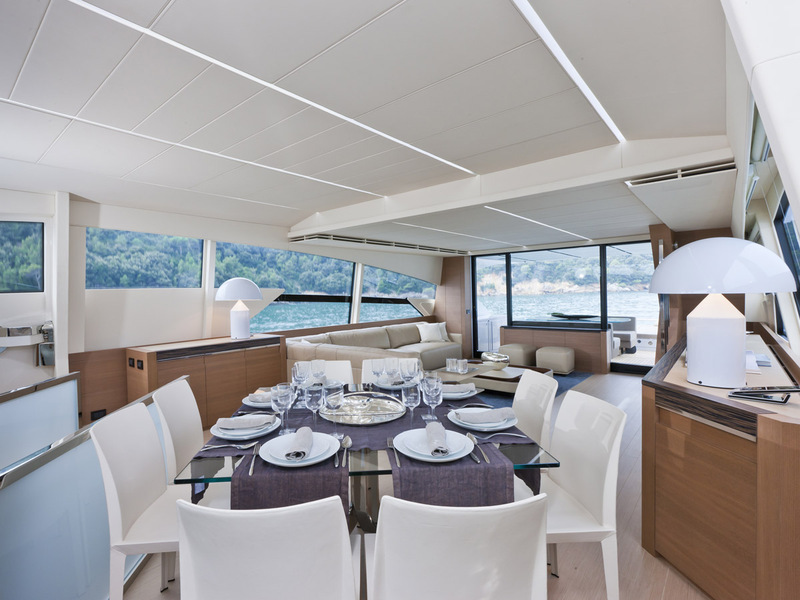 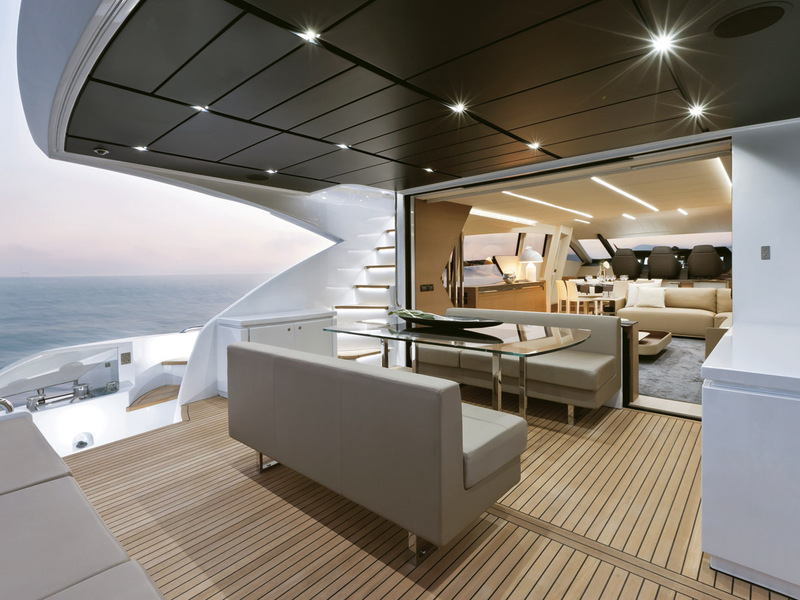 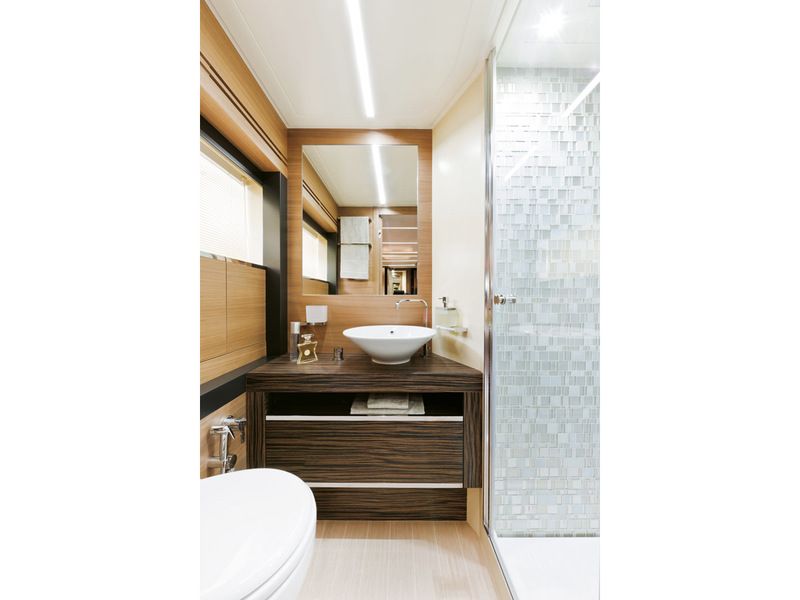 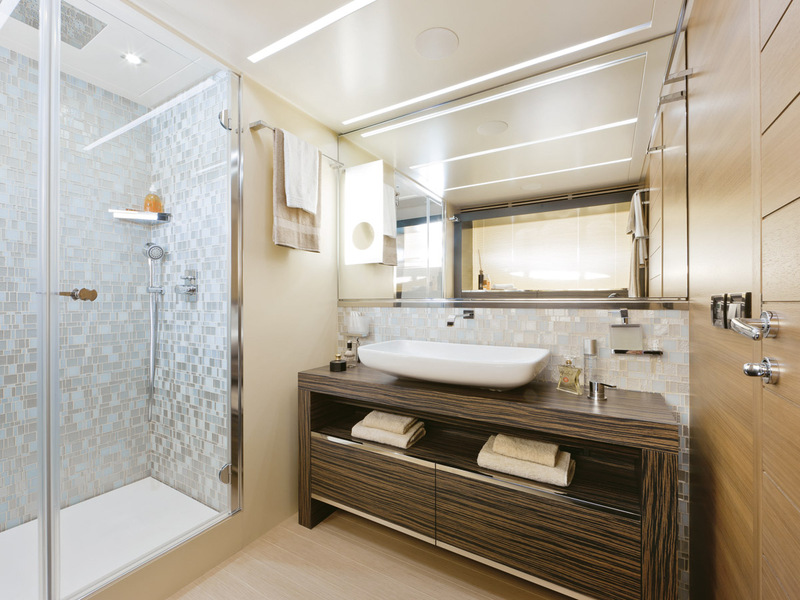 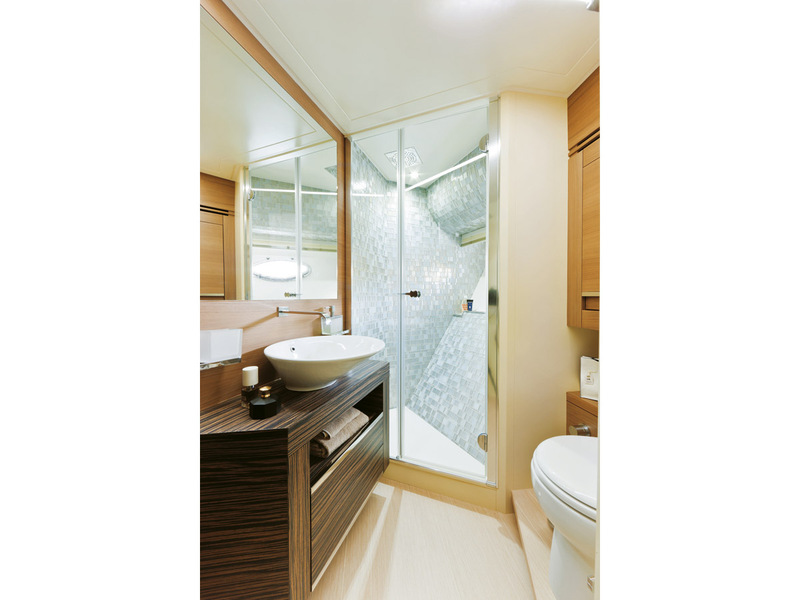 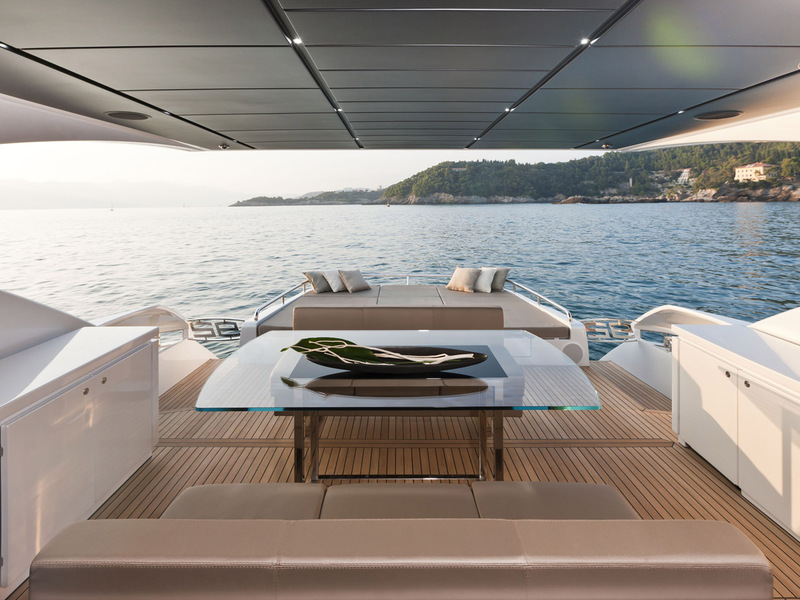 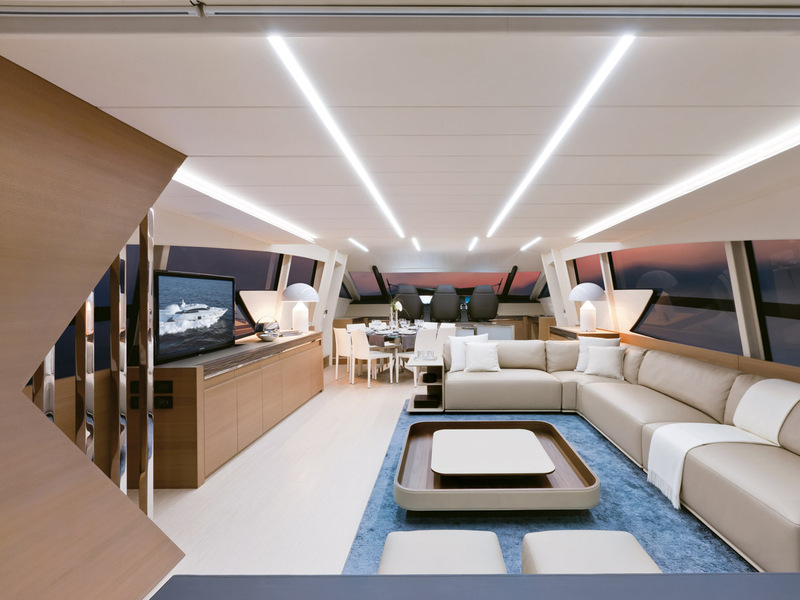 Light and air fill the spaces thanks to the maxi windows that highlight aesthetic qualities of the boat.